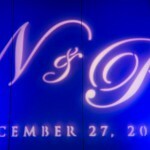 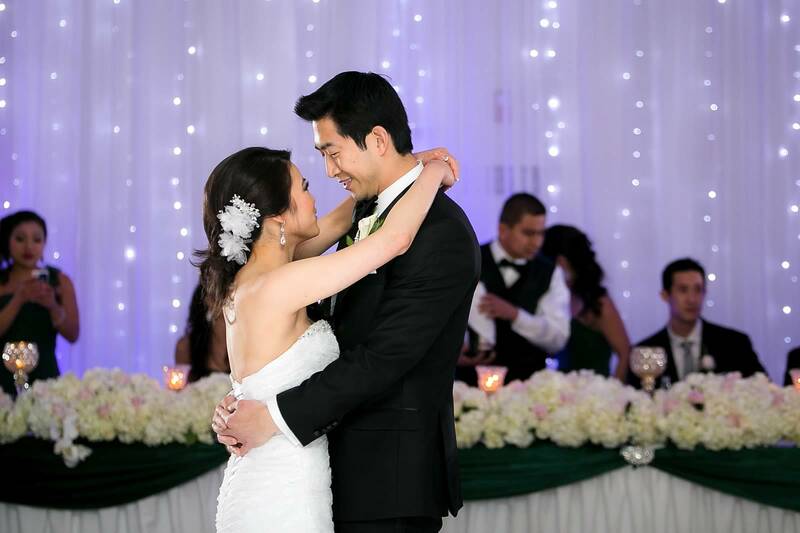 Nina and Paul tied the knot in Westminster, California and celebrated their big day at the Crystal Rose Center. 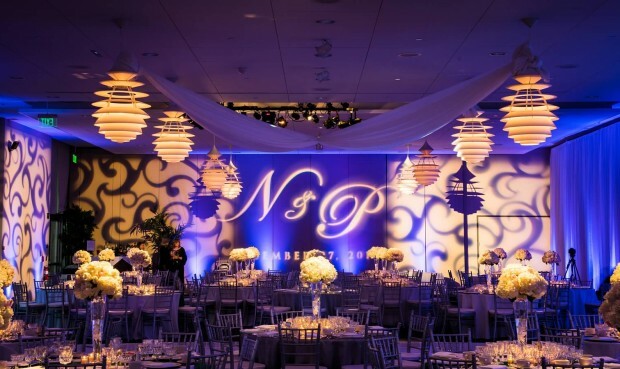 Nina initially wanted to drape the entire room but since we had so much decor lighting, she decided to take our advice and let the lighting do the work! 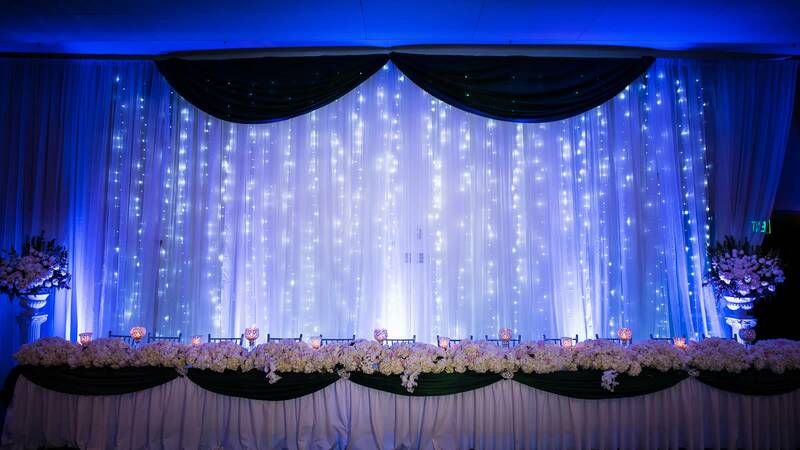 We ended up doing one entire wall dressed with our white chiffon. 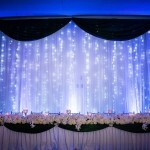 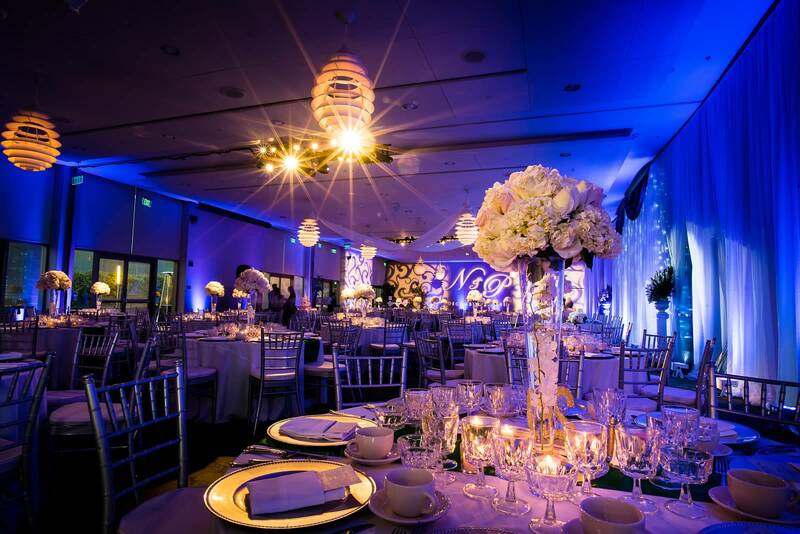 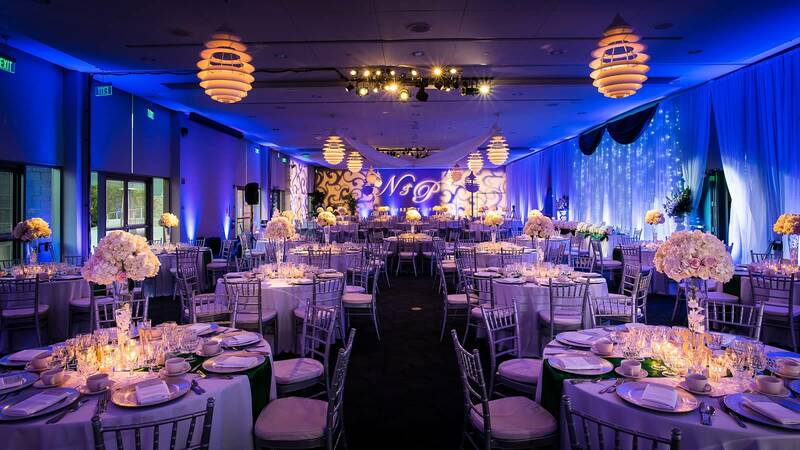 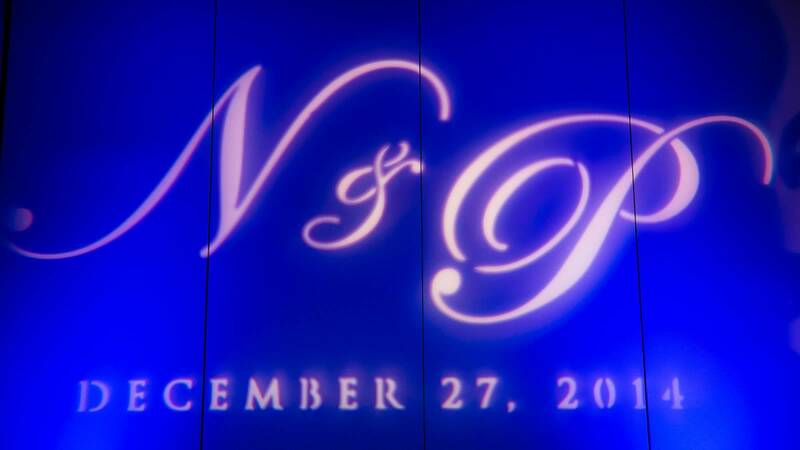 In addition we set the ambiance and room tone to purple uplighting with our gobo pattern wash. 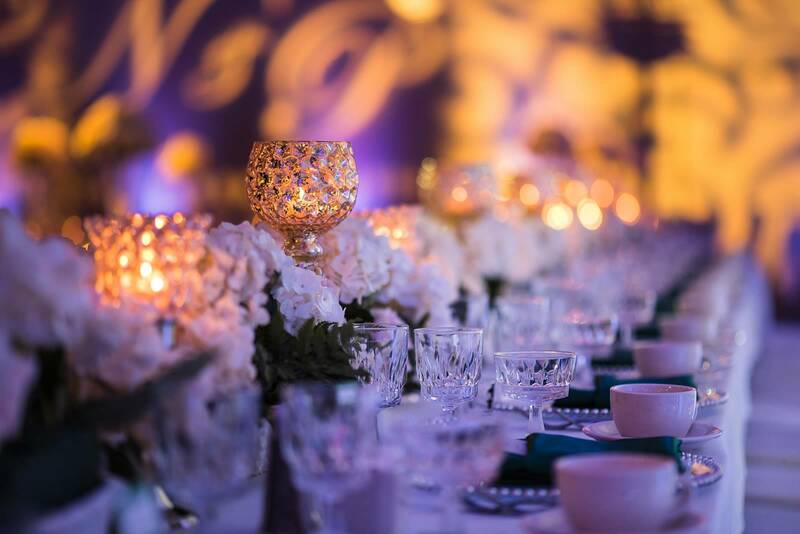 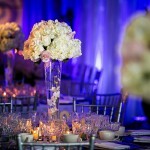 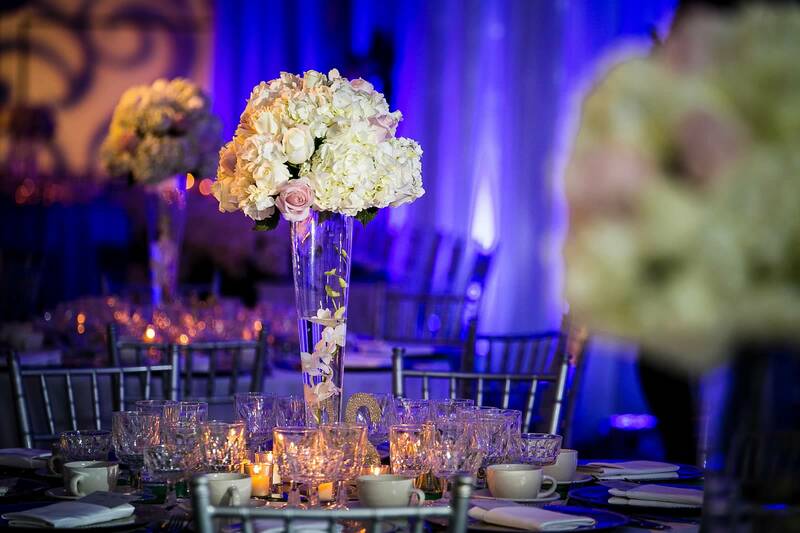 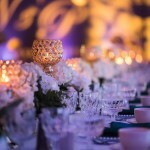 If you look closely at the high floral centerpieces, each arrangement is lit very nicely and creates a nice center of the room effect while the uplighting contrasts with them. 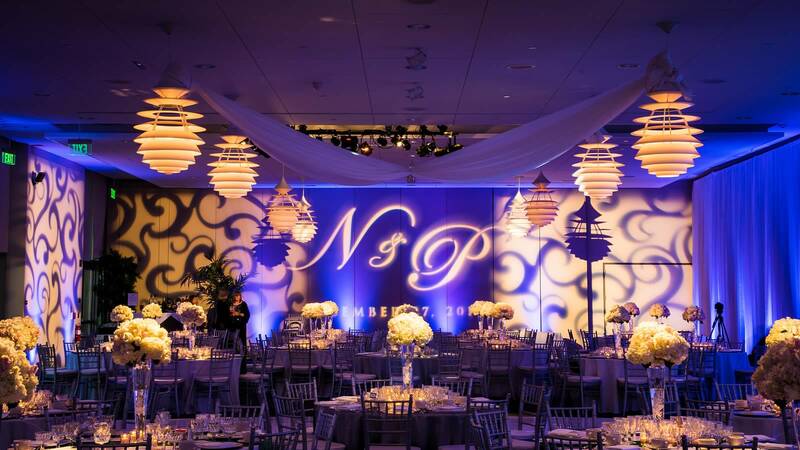 Finally we flanked in their initials between the patterns making it a focal point of the room and it sure did make a full room transformation. 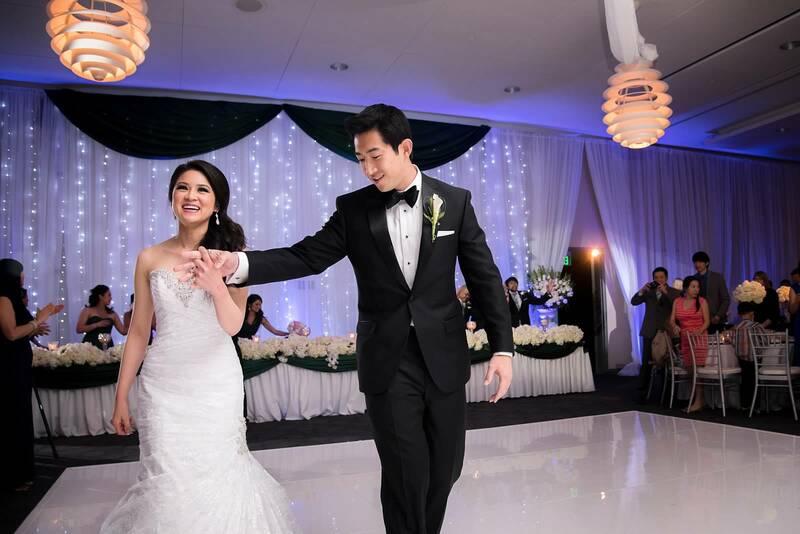 To add the last touch, our couple wanted to make their first dance a big impression! 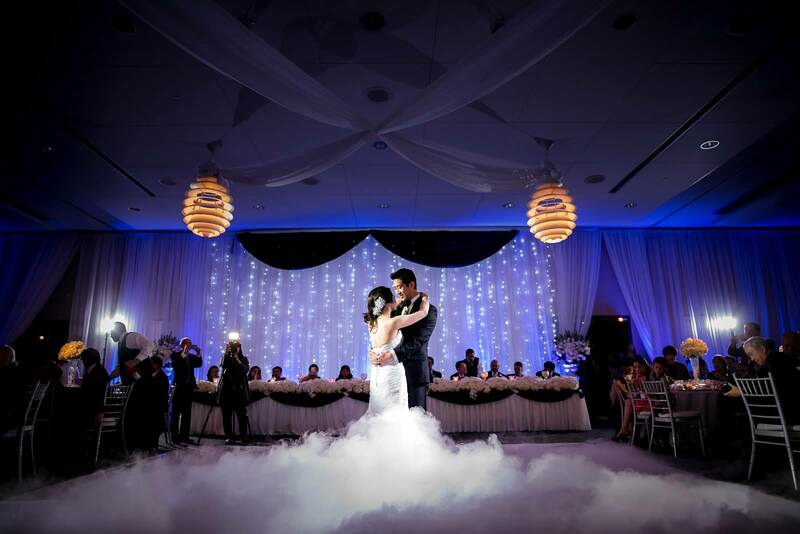 We used dry ice to create their first dance on the clouds! 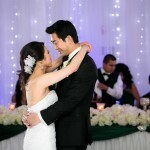 Look how amazing their pictures came out!